The Principality of Liechtenstein is a tiny, alpine country in Western Europe, bordered by Switzerland to its west and by Austria to its east. Mountainous, it is a winter sports resort, although it is perhaps best known as a tax haven. Despite this, it is not heavily urbanized (in the way that the Principality of Monaco and Gibraltar are). 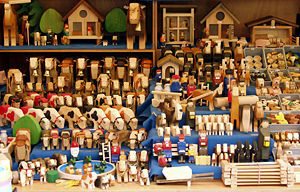 Many cultivated fields and small farms characterize its landscape both in the north (Unterland) and in the south (Oberland). Not only is it the smallest German-speaking country in the world, but also the only European country whose bordering countries are also landlocked. The five independent countries smaller than Liechtenstein are Vatican City, Monaco, Nauru, Tuvalu, and San Marino. Map of the Principality of Liechtenstein. Liechtenstein is situated in the Upper Rhine valley of the European Alps. It is one of only two doubly landlocked countries in the world—being a landlocked country wholly surrounded by other landlocked countries—the other is Uzbekistan. It is the only country with a predominantly German-speaking population that does not share a border with the Federal Republic of Germany. The entire western border of Liechtenstein is formed by the river. 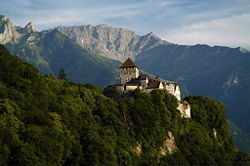 Liechtenstein is the sixth-smallest independent nation in the world, by land area. Measured north to south, the country is only about 15 miles (24km) long, and has a land area of 62 square miles (160.4 square kilometers), which is about 0.9 times the size the state of Washington DC, in the United States. The rugged foothills of the Rhätikon Mountains, part of the central Alps, make up the eastern 66 percent of the country. Its highest point, the Grauspitz, reaches 8527 feet (2599 metres). The Rhine River floodplain, together with the valley of the Ill River, forms a triangular lowland widening northward in the west of the country. Once marshy, a drainage channel cut in the 1930s has made its soils suitable for agriculture. Despite its alpine location, prevailing southerly foehn winds make the climate of Liechtenstein comparatively mild. In winter, the mountain slopes are well suited to winter sports. The winter temperature rarely falls below 5°F (-15°C), while the summer average daily maximum temperature varies from 68 to 82°F (20 to 28°C). Annual precipitation ranges from about 35 to 47 inches (900mm to 1200mm). This climate allows for the cultivation of grapes and corn (maize), which is unusual in a mountainous area, and the warm foehn wind enables a number of orchid species to grow. Alpine plants as gentian, alpine rose, and edelweiss grow in higher mountain areas. Trees include the red beech, sycamore, maple, alder, larch, and various conifers. Indigenous mammals include the deer, fox, badger, and chamois. There are 120 species of birds, including ravens and eagles. Natural resources include hydroelectric potential, and arable land. There were no natural hazards or environmental issues of note in 2007. Vaduz is the capital and the seat of the national parliament. The town, located along the Rhine, has about 5248 inhabitants, most of whom are Roman Catholic. Its cathedral is the seat of a Roman Catholic archbishop. 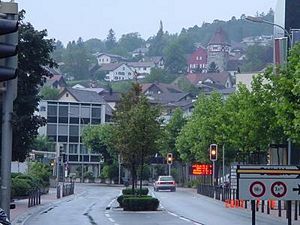 While Vaduz is better known internationally, it is actually not the largest town in the principality: neighboring Schaan has a greater population. 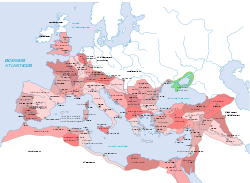 The extent of the Roman Empire under Trajan, 117 C.E. The territory of Liechtenstein formed a part of the ancient Roman province of Raetia. A Roman road crossed the region from south to north, traversing the Alps by the Splügen Pass and following the right bank of the Rhine at the edge of the floodplain, for long uninhabited because of periodic flooding. Roman villas have been excavated in Schaanwald and Nendeln, and the remains of a Roman fort stand at Schaan. The area was incorporated into the Carolingian empire, from the fifth to the ninth centuries, and divided into countships, which became subdivided over the generations. Because the duchy of Swabia lost its duke in 1268 and was never restored, all vassals of the duchy became immediate vassals of the Imperial Throne. The fifteenth century brought three wars and some devastation, but the seventeenth century was a low point, with some plague, some skirmishing from the struggles of the Thirty Years' War but most of all from a witch hunt, in which more than 100 persons were persecuted and executed. The Liechtenstein dynasty owned Castle Liechtenstein in Lower Austria from at least 1140 until the thirteenth century and from 1807 onwards. Over the centuries, the family acquired vast swathes of land, mostly in Moravia, Lower Austria and Styria. Unfortunately for the Liechtenstein family, all these expansive and rich territories were held in fief under other more senior feudal lords, particularly under various lines of the Habsburg family, to which many Liechtensteins were close advisors. Without any territory held directly under the Imperial throne, the Liechtenstein dynasty was unable to qualify for a seat in the Imperial Reichstag. The family bought the minuscule Herrschaft ("Lordship") of Schellenberg in 1699, and countship of Vaduz in 1712, which were directly subordinate to the Holy Empire. On January 23, 1719, Charles VI, Holy Roman Emperor, decreed Vaduz and Schellenberg were united, and raised to the status of principality) with the name "Liechtenstein." Thus Liechtenstein became a member state of the Holy Roman Empire. The Princes of Liechtenstein did not set foot in their new principality for over 120 years. Liechtenstein became a sovereign state in 1806 when it joined Napoleon's Confederation of the Rhine upon the dissolution of the Holy Roman Empire. The French under Napoleon occupied the country for a few years, but Liechtenstein retained its independence in 1815. Soon afterward, Liechtenstein joined the German Confederation (June 1815– August 1866) which was presided over by the Emperor of Austria). Then, in 1818, Prince of Liechtenstein Johann I granted a limited constitution. That year was the occasion of the first visit of a member of the house of Liechtenstein, Prince Alois. The first visit by a sovereign prince would not occur until 1842. In 1836, Liechtenstein's first factory opened, making ceramics. In 1861, the Savings and Loans Bank was founded, as was the first cotton-weaving mill. Two bridges over the Rhine were built in 1868, and in 1872 a railway line across Liechtenstein was constructed. In 1862, a new Constitution provided for a representative Diet. In 1868, after the German Confederation dissolved, Liechtenstein disbanded its army of 80 men and declared permanent neutrality, which was respected during both world wars. After the seven-week Austro-Prussian War in 1866, Prussia accused Liechtenstein of being the cause of the war through a miscount of the votes for war. Liechtenstein refused to sign a peace treaty with Prussia and remained at war without an actual battle. Until the end of World War I, Liechtenstein was closely tied to Austria, but the economic devastation caused by that conflict forced the country to conclude a customs and monetary union with Switzerland. In 1919, Liechtenstein and Switzerland signed a treaty under which Switzerland assumed responsibility for Liechtenstein's diplomacy and defense. In the spring of 1938, just after the annexation of Austria into Greater Germany, 84-year-old Prince Franz I abdicated, naming his 31-year-old third cousin, Prince Franz Joseph, as his successor. Although Liechtenstein had no official Nazi party, a Nazi sympathy movement had been simmering for years within its National Union party. Prince Franz Josef II became the first Prince of Liechtenstein to take up permanent residence in Liechtenstein. During World War II, Liechtenstein remained neutral, while family treasures within the war zone were brought to Liechtenstein (and London) for safekeeping. 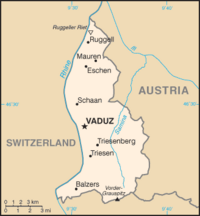 The medieval county of Vaduz was formed in 1342 as a small subdivision of the Werdenberg county of the dynasty of Montfort of Vorarlberg. At the close of the conflict, Czechoslovakia and Poland, acting to seize what they considered to be German possessions, expropriated all of the Liechtenstein dynasty's hereditary lands and possessions in Bohemia, Moravia, and Silesia—the princes of Liechtenstein lived in Vienna until Nazi Germany annexed Austria in 1938. The expropriations (subject to modern legal dispute at the World Court) included over 600 square miles (1600 square kilometers) of agricultural and forest land, also including several family castles and palaces. Citizens of Liechtenstein were forbidden from entering Czechoslovakia during the Cold War. Liechtenstein gave asylum to 500 soldiers of the First Russian National Army who fought within the German Wehrmacht) at the close of World War II. This is commemorated by a monument at the border town of Hinterschellenberg. At that time, Liechtenstein was poor and had difficulty caring for such a large group of refugees. Eventually, Argentina agreed to resettle the asylum seekers. In contrast, the British repatriated the Russians who fought on the side of Germany to the USSR, and they all perished in the Gulag. In dire financial straits following the war, the Liechtenstein dynasty resorted to selling family artistic treasures, including the priceless portrait Ginevra de' Benci by Leonardo da Vinci. However, Liechtenstein prospered as its low corporate tax rates attracted numerous companies. Liechtenstein's constitution, adopted in October 1921, established in Liechtenstein a constitutional monarchy ruled by the reigning prince of the House of Liechtenstein. It also established a parliamentary system, although the reigning prince retained substantial political authority. A referendum in 2003 showed that nearly two-thirds of Liechtenstein's electorate backed a revised constitution. The reigning prince of the House of Liechtenstein is the head of state and, as such, represents Liechtenstein in its international relations (although Switzerland has taken responsibility for much of Liechtenstein's diplomatic relations). The prince may veto laws adopted by the parliament, can call referendums, propose new legislation, and dissolve the parliament, although dissolution of parliament may be subjected to a referendum. Executive authority is vested in a collegial government comprising the prime minister (head of government) and four government ministers. The prime minister and the other ministers are proposed by the parliament and appointed by the prince. The constitution stipulates that at least two members of the government be chosen from each of the two regions. Legislative authority is vested in the unicameral "Landtag" (parliament) made up of 25 members elected for maximum four-year terms according to a proportional representation formula. 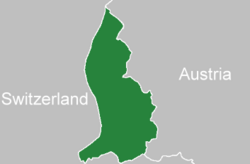 Fifteen members are elected from the "Oberland" (Upper Country or region) and 10 members are elected from the "Unterland" (Lower Country or region). Parties must receive at least eight percent of the national vote to win seats in the parliament. The parliament proposes and approves a government, which is formally appointed by the prince. The parliament may also pass votes of no confidence against the entire government or against individual members. Additionally, the parliament elects from among its members a "Landesausschuss" (National Committee) made up of the president of the parliament and four additional members, to supervise parliament. Suffrage is universal to all aged 18 years and over. From 1938 to 1997, Liechtenstein had a coalition government. Until a few years ago there were only two parties in Parliament, the Fatherland Union and the Progressive Citizens' Party. The Fatherland Union took sole responsibility for the government during the 1997 to 2001 parliament. Since 2001 it has been the Progressive Citizen's Party. 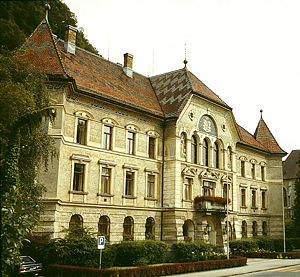 Judicial authority is vested in the Regional Court at Vaduz, the Princely High Court of Appeal at Vaduz, the Princely Supreme Court, the Administrative Court, and the State Court. The State Court rules on the conformity of laws with the constitution. The State Court has five members elected by the parliament. Civil and penal codes are based on civil law system. Liechtenstein accepts compulsory International Court of Justice jurisdiction with reservations. The principality of Liechtenstein is divided into 11 municipalities called gemeinden (singular gemeinde). The gemeinden mostly consist only of a single town. Five of them fall within the electoral district Unterland (the lower county), and the remainder within Oberland (the upper county). Defense is the responsibility of Switzerland. Despite its small geographic area and limited natural resources, Liechtenstein has more registered companies than citizens. It has developed into a prosperous, highly industrialized, free-enterprise economy, and boasts a financial service sector as well as a living standard which compares favorably to those of the urban areas of Liechtenstein's large European neighbours. The Prince of Liechtenstein is the world's sixth wealthiest with an estimated wealth of $4- billion. The people of Liechtenstein enjoy a standard of living in the upper 20 percent of the world's countries. Without being listed on either the 2006 HDI, or The Economist's 2005 world-wide quality-of-life index, Liechtenstein has an average per capita income that has been estimated at $25,000 for the year 2006, about 30th on the IMF list of 179 countries, comparable to that of Brunei and Slovenia. Advantageously low business taxes—the maximum tax rate is 18 percent—as well as easy Rules of Incorporation have induced about 73,700 holding (or so-called 'letter box') companies to establish nominal offices in Liechtenstein. Such processes provide about 30 percent of Liechtenstein's state revenue. Liechtenstein also generates revenue from the establishment of stiftungs or foundations, which are financial entities created to increase the privacy of non-resident foreigners' financial holdings. The foundation is registered in the name of a Liechtensteiner, often a lawyer. Recently, Liechtenstein has shown strong determination to prosecute any international money-laundering and worked to promote the country's image as a legitimate financing center. Liechtenstein participates in a customs union with Switzerland and employs the Swiss franc as national currency. The country imports more than 90 percent of its energy requirements. Liechtenstein has been a member of the European Economic Area (an organization serving as a bridge between the European Free Trade Association (EFTA) and the European Union) since May 1995. The government is working to harmonize its economic policies with those of an integrated Europe. Since 2002, Liechtenstein's rate of unemployment has doubled—the rate was 9.2 percent in 2006. There was only one hospital in Liechtenstein in 2007, the Liechtensteinisches Landesspital in Vaduz. Liechtenstein's most recognizable international company and largest employer is Hilti, a manufacturer of concrete fastening systems. Liechtenstein also is the home of the Curta calculator. There are about 155 miles (250km) of paved roadway within Liechtenstein. About six miles (9.5km) of railway connect Austria and Switzerland through Liechtenstein. 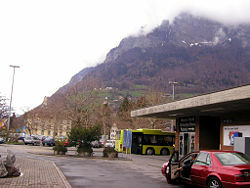 Four stations in Liechtenstein, namely Schaan-Vaduz, Forst Hilti, Nendeln, and Schaanwald, are served by an irregularly stopping train service running between Feldkirch and Buchs. While EuroCity and other long distance international trains also make use of the route, these do not call at Liechtenstein stations. There is no airport in Liechtenstein, the nearest large airport being in Zürich Switzerland. Exports totaled $2.47-billion in 1996. Export commodities included small specialty machinery, connectors for audio and video, parts for motor vehicles, dental products, hardware, prepared foodstuffs, electronic equipment, optical products Export partners included European Union 62.6 percent (Germany 24.3 percent, Austria 9.5 percent, France 8.9 percent, Italy 6.6 percent, United Kingdom 4.6 percent), United States 18.9 percent, Switzerland 15.7 percent. Imports totaled $917.3-million in 1996. Import commodities included agricultural products, raw materials, energy products, machinery, metal goods, textiles, foodstuffs, and motor vehicles. Import partners included European Union, and Switzerland. In June 2003, the state tourism agency decided to give a boost to the country's tourism by offering to rent out the country to businesses and other organizations for conference hosting, weddings, or other such events. Organizations keen to take part were to pay about $320 to $530 a day per person. Karl Schwarzler, along with the entire nation of Liechenstein, was awarded the Ig Nobel Prize in Economics in 2003 for this unique enterprise. 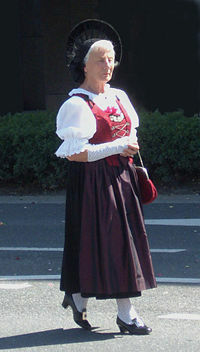 A woman wearing the traditional Liechtenstein Tracht. With a total population of less than 40,000, Liechtenstein is the fourth smallest country of Europe, after the Vatican City, Monaco, and San Marino. 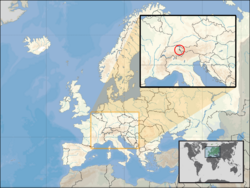 Its population is primarily ethnic Alemannic, although its resident population is approximately one third foreign-born, primarily German speakers from the Federal Republic of Germany, Austria, and the Swiss Confederation, other Swiss, Italians, and Turks. Foreign-born people make up two-thirds of the country's workforce. Nationals are referred to by the plural: Liechtensteiners. Among religions in Liechtenstein, Roman Catholic Christianity is the predominant one, with 76.2 percent of the population counted as adherents, according to the 2002 census. About seven percent of the population were Protestant, 10.6 percent were classified as "unknown," and 6.2 percent as "other." The official language is German. Most speak Alemannic, a dialect of German that is highly divergent from Standard German but closely related to those dialects spoken in neighboring regions. Primary education lasts for five years, starts at age six, and results in a fifth grade certificate. There are two types of lower secondary schools: the Oberschule and Realschule which last four years and grant a leaving certificate, and the Gymnasium (lower cycle), which lasts three years from age 11 to 14, and awards an eighth grade certificate. Upper secondary school lasts one year, from age 14 to 14 and awards a leaving certificate. Gymnasium schools offer senior secondary education for four years from age 15 to 18 and award a Matura certificate. Higher education is provided by the Fachhochschule (University of Applied Sciences) and the Internationale Akademie für Philosophy (International Academy for Philosophy). Non-university level post-secondary studies (technical/vocational type) at the Berufsmittelschule lasts for four terms, and the final examination leads to the Berufsmatura Certificate. Its holders are admitted to universities and technical colleges. The Fachhochschule Liechtenstein, confers bachelors, masters and Ph. D. degrees after shorter qualifying periods. An estimated 100 percent of the population, age 10 and older, can read and write. 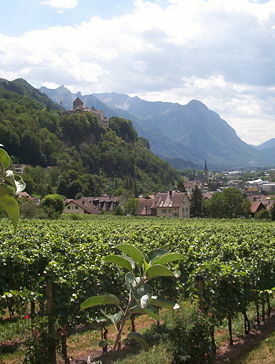 As a result of its small size, Liechtenstein has been strongly affected by external cultural influences, most notably those originating in the southern German-speaking areas of Europe, including Austria, Bavaria, Switzerland, and Tyrol. The Historical Society of the Principality of Liechtenstein plays a role in preserving the culture and history of the country. There are several art museums, the largest being the Princely Collections, there are also the National Art Museum and the Postage Stamp Museum, and a few others. The most famous historical sites are Vaduz Castle, Gutenberg Castle, the Red House and the ruins of Schellenberg. Music and theater are an important part of the culture. There are numerous music organizations such as the Liechtenstein Musical Company, the annual Guitar Days and the International Josef Gabriel Rheinberger Society; and two main theaters. Liechtenstein football teams play in the Swiss football leagues. The Liechtenstein Cup allows access to one Liechtenstein team each year in the UEFA Cup; FC Vaduz, a team playing in the Swiss Challenge League (i.e., the second level of Swiss football) is the most successful team in the Cup, and scored their greatest success in the European Cup Winners' Cup in 1996 when they defeated the Latvian team FC University Riga by 1–1 and 4–2, to go on to a lucrative fixture against Paris St Germain, which they lost 0–4 and 0–3. The Liechtenstein national football team has traditionally been regarded as an easy target for any team drawn against them, a fact that served as the basis for a book about Liechtenstein's unsuccessful qualifying campaign for the 2002 World Cup by British author, Charlie Connelly. In one surprising week during autumn 2004, however, the team, headed by Patrick Nikodem, managed a 2–2 draw with Portugal, which only a few months earlier had been the losing finalists in the European Championships. 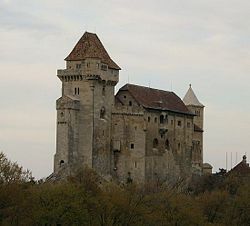 Four days later, the Liechtenstein team travelled to Luxembourg where they defeated the home team by 4 goals to 0 in a 2006 World Cup qualifying match. They are still considered by many to be an easier touch than most, however, they have been steadily improving over the last few years, and are now considered the best of the European "minnows." In the qualification stage of the European Championship 2008, Liechtenstein beat Latvia 1-0, score which prompted the resignation of the Latvian coach. They went on to beat Iceland 3-0 (October 17, 2007), which is considered one of the most dramatic losses of the Icelandic national soccer team. ↑ Raum, Umwelt und Energie, Landesverwaltung Liechtenstein. Retrieved July 27, 2018. ↑ 2.0 2.1 2.2 2.3 CIA, Liechtenstein World Factbook. Retrieved July 27, 2018. Liechtenstein U.S. Department of State. History of Liechtenstein: Primary documents Euro Docs. Liechtenstein in Figures - 2016. Sarah Lyall. "For Rent: One Principality. Prince Not Included." The New York Times, March 25, 2003. This page was last modified on 27 July 2018, at 22:34.